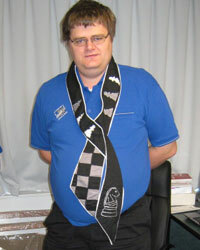 See the official website: http://www.hastingschess.com/. 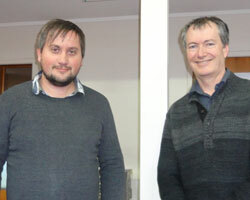 Kiwis abroad: FM Nic Croad and Bob Mitchell are competing (both are resident in the UK). 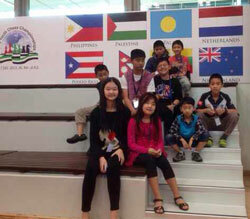 December 17th - 29th 2013 - World Youth, Al Ain, UAE. 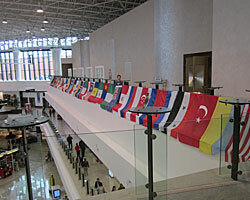 Official website: www.worldyouth2013.com. www.chess-results.com/tnr119502.aspx?lan=1 covers results of all the sections. 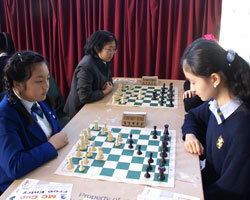 There are more photos at www.facebook.com/NZChessFederation. You don't need to sign in to see them; the NZCF page is public. Kiwi players at the World Youth. 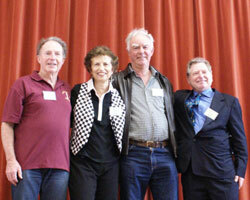 See the official website: boxhillchess.org.au/. FM Luke Li finished with 3/9 in the GM section and FM Bob Smith was 3rd in the IM section with 6/9, behind 1st= Chris Wallis and Karl Zelesco. 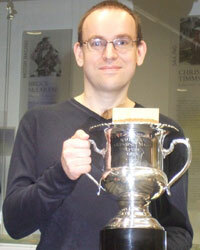 FIDE Open: David Guthrie 5½/9 (3rd in the grading group 2000-2200; only half a point short of an IM norm); Alistair Compton 4½; Helen Milligan 4. 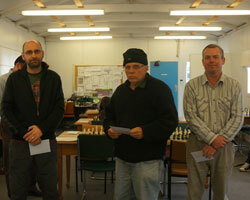 Weekender A Open: FM Nic Croad 3½/5. See the official website: lidumsaym.com. 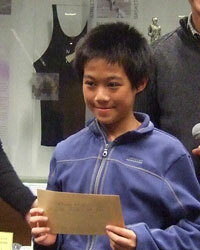 Kiwi Qi Le Kong-Lim finished 1st= with 6½/9 (2nd on tie-break). View the Vega files here: A-Grade; B-Grade; C-Grade; Junior. November 11th - 24th 2013 - World Seniors, Opatija, CROATIA. 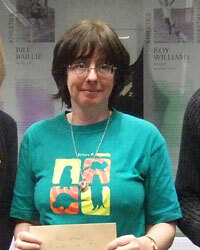 Kiwis abroad: Helen Milligan scored 50% (including a draw with GM Nona Gaprindashvili) in the Women's event; see http://www.chess-results.com/tnr98612.aspx?art=0&lan=1&flag=30&wi=821. 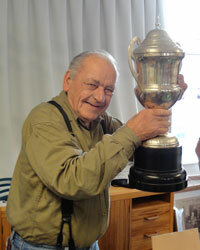 Official website, with photos and games: http://www.worldsenior2013.rijekachess.com/en. November 10th 2013 - 2013 South Island Rapid Championship, incorporating the 2013 All Canterbury Championship, Christchurch. 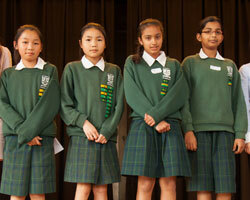 1st: Mt Roskill Intermediate: Caroline Yan, Sarah Yan, Kirushni Suthakaran, Amisha Prassad. 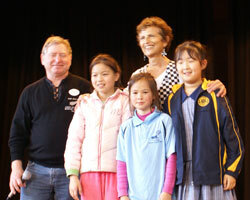 2nd: Auckland Normal Intermediate: Flora Fan, Jennifer Chen, Cindy Chang, Kelly Ding. 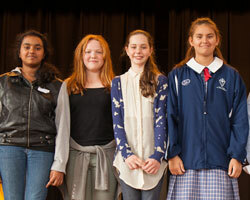 3rd: Holy Cross School: Emily Massey, Martina Kleis, Carmen Delport, Ann-Mary Jose. 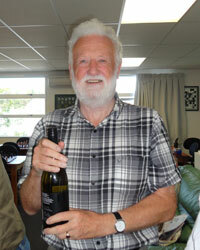 October 25th - 28th 2013 - Merv Morrison Memorial Chess Tournament, Auckland. 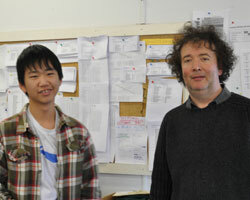 Thanks to Ying Wang for photos. Kiwis abroad: wfm Natasha Fairley scored a respectable 2/5 in the strong Open section of this event. 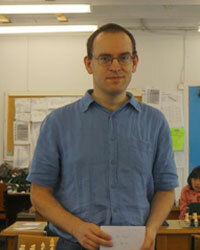 See www.scchess.org for links and results. Winners: North Shore. I believe this is North Shore's 50th Interclub title. 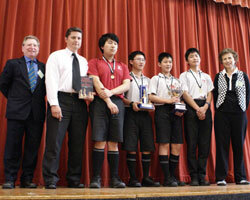 The team comprised Hao Jia, Thomas Chen, David Rong, Alistair Duhs, Campbell Wang, Paul Kamberi, and Steve Holdaway. 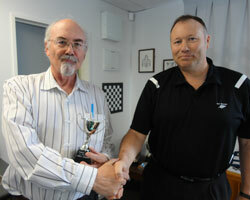 Organised by Chess Power, website www.chesspower.co.nz. October 9th - 13th 2013 - South Island Championship, Nelson. 1st IM Puchen Wang with a remarkable 9/9. 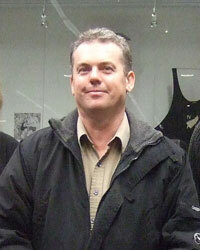 September 28th - October 6th 2013 - George Trundle NZ Masters Tournament, Auckland. 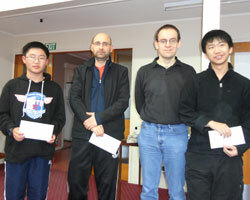 Masters 1st IM Alex Wohl, 2nd IM Stephen Solomon, 3rd= IM Peng Kong Chan, FM Luke Li and IM Paul Garbett. 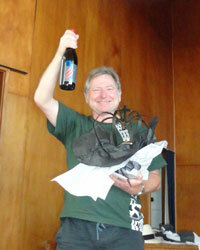 Li and Garbett share the trophy for best NZL result. 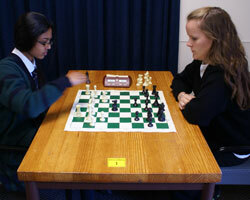 There are more photos at www.facebook.com/NZChessFederation. 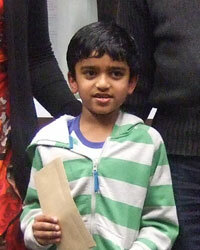 The official website for the event can be found at http://www.mmrsachess.org/sitepages/Inter-School%20Champs%202013.aspx. 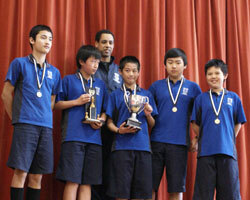 NZ Secondary Champions, Westlake Boys' High, left to right: Organiser and Chief Arbiter Bob Smith, team manager Arnold Van Den Heuvel, Harry Cui, Hao Jia, Winston Yao, William Li and Assistant Arbiter Viv Smith. 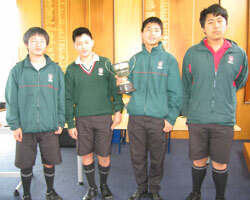 NZ Intermediate Champions, Auckland Normal Intermediate, front row: Tony Wang, Oscar Yang, Nicholas Huang, Johnson Chen and Leo Zhang. 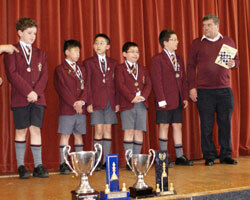 Silver in the Primary final: Kings School, Samuel Tingey, Owen Bao, Haven Qin, Darrick Pan, Nathaniel Masfen-Yan, with manager Ewen Green. 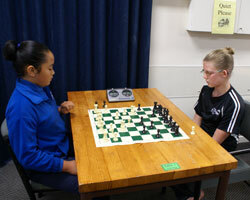 Paul Franks, Mt Maunganui RSA President, plays the first move against James Paget from Waimairi School on the top board of the primary finals. Arbiting team of Ron Collingwood, Viv Smith, Greg Robinson and Bob Smith. September 17th 2013 - Auckland Interschools Finals, Auckland. 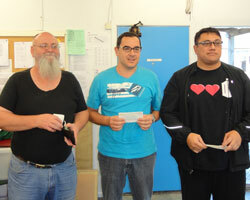 September 14th -15th 2013 - North Shore Open, Auckland. 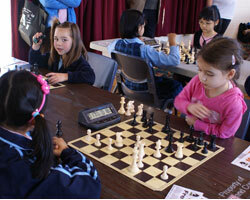 Hosted by the North Shore Chess Club. Vega results for the Junior tournament. 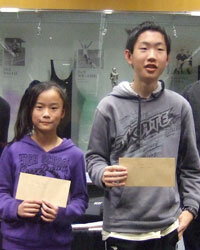 September 14th - 15th 2013 - Pakuranga Plaza Junior Tournament, Auckland. September 7th 2013 - Kapiti Rapid, Paraparaumu. 1st= Scott Wastney and Michael Nyberg. 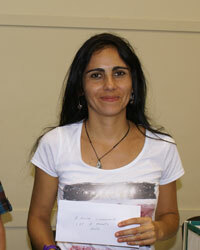 B/C Grade winner: Layla Timergazi. 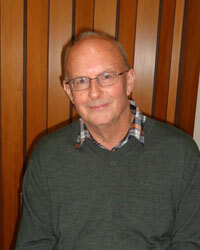 See Kapiti Rapid for a report, full results and links to photos. 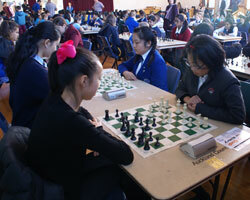 September 4th 2013 - South Island School Teams Tournament, Ashburton. 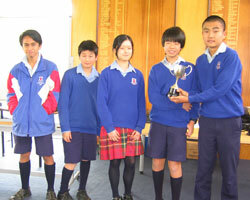 September 2nd-4th 2013 - Auckland Intersecondary Teams finals, Auckland. 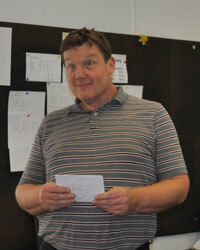 Thanks to Bruce Dixon of Macleans College for the photos. 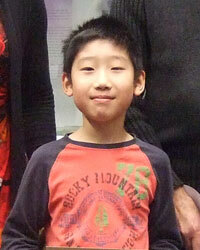 Board 1: William Li (WBHS1) & Daniel Shen (AGS1) 4/5; Leo Zhu (MC) 3½/5. 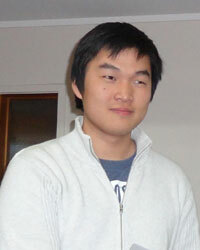 Board 2: Hans Gao (AGS1) 4½/5; Winston Yao (WBHS1) 3½/5; Andrew Li (WBHS2) 2½/5. 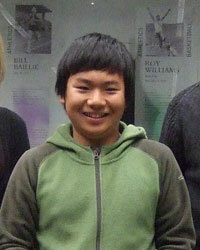 Board 3: Hao Jia (WBHS1) 55/5; Henry Jiang (MC) 2½/4; Ben Liu (AGS2) 2½/5. Board 4: Miles Lee (AGS2) 4/5; Andrew Li (AGS1) 3/5; Kevin Lee (WBHS2) 2/3. 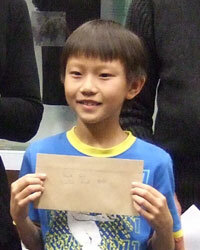 Board 1: Allen Huang (AGS1) 4½/5; Oliver Li (MC2), Luke Wang (WBHS) & Jing Yu (MC1) 3/5. 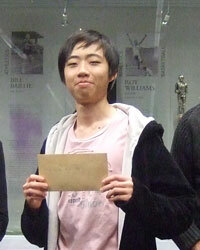 Board 2: Karl Zhu (MC1) 4½/5; Darren Zhang (WBHS) 3½/5; Lawrence Leow (AGS) 3/5. Board 3: Nicholas Quek (AGS1) 5/5; Jiapeng Li (MC2) 3/4; Weber Wang (WBHS) 2½/5. Board 4: Jephraim Florendo (AGS1) 5/5; George Han (WBHS) & Richard Zhou (AGS2) 3/5. 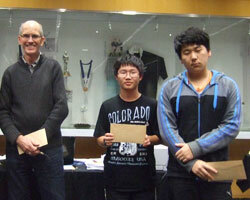 Board 1: Nathan Tee (MC) 4/5; Max Benson (AGS1) 3½/5; David Rong (WBHS) & Kevin Shen (SKC) 2½/5. 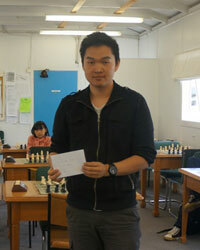 Board 2: George Wang (WBHS) 4½/5; Catherin Chen (MC) 3/5; Samuel Ng (AGS2) 2½/5. 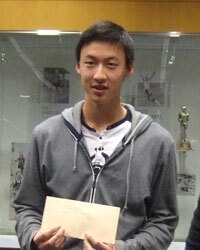 Board 3: Bryner Lum (MC) 5/5; Byung-chan Kim (WBHS) 4/5; Max Lee (AGS2) 3/5. 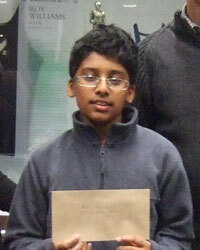 Board 4: Shinay Singh (MRGS) 3/3; Jonas Rogado (MC) & Andy Yang (WBHS) 2½/5. August 19th - 24th 2013 - New Caledonia International Open, Nouméa, NEW CALEDONIA. FM Bob Smith scored 6/9 and wfm Viv Smith 5/9. 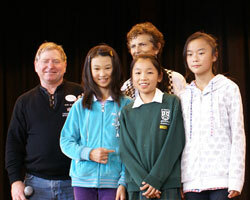 August 15th 2013 - Howick Primary Interschools, Auckland. 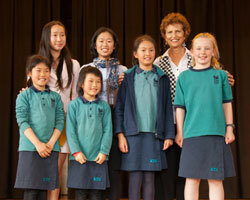 August 15th 2013 - Howick Intermediate Interschools, Auckland. 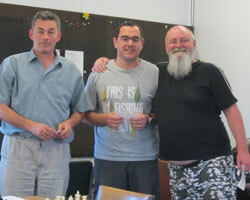 August 10th - 11th 2013 - Auckland Chess Centre Weekender, Auckland. 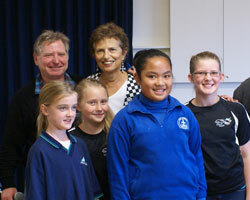 August 9th 2013 - Wellington Primary Interschools, Wellington. 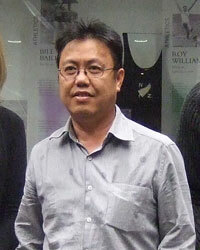 August 9th - 19th 2009 - 10th IGB Dato' Arthur Tan Open Chess Championship, Kuala Lumpur, MALAYSIA. 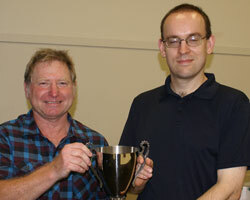 Kiwis abroad: FM Bob Smith in the Open, http://www.chess-results.com/tnr108175.aspx?lan=1, and CM Paul Spiller in the Seniors, http://www.chess-results.com/tnr108176.aspx?lan=1. 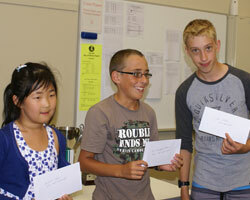 August 7th 2013 - Bay of Plenty Intermediate and Secondary Interschools, Tauranga. 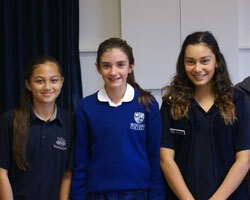 August 7th 2013 - North Shore Intermediate Interschools, Auckland. 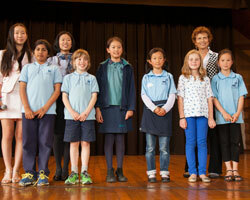 August 6th 2013 - Bay of Plenty Primary Interschools, Tauranga. 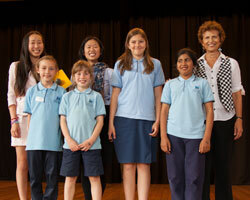 August 6th 2013 - North Shore Primary Interschools, Auckland. 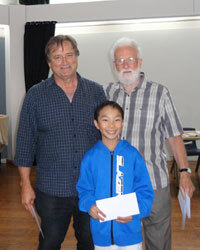 August 4th 2013 - Junior Interclubs, Auckland. 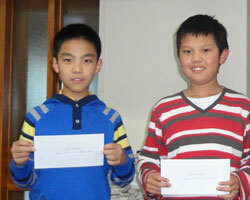 Board 1: Leo Zhang (AC) & William Zhang (NS) 6½; Judd Zhan (HP) 5; Crystal Zhu (NS B) 3½. Board 2: Alphaeus Ang (AC) 7; Hao Jia (NS) 6; Richard Jiang (HP) 4½; Sarah Yan (AC B) 3½. Board 3: Allen Fan (AC), Winston Yao (NS) & Karl Zhu (HP) 6; Nicole Qin (AC B) 3. 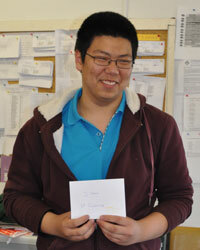 Board 4: Thomas Chen (NS) 7; Johnson Chen (AC) 5; Ally Tang (AC B) 4; Kevin Guan (HP), Richard Meng (NS B) & Ryan Nguyen (PT) 3. Photos at http://www.flickr.com/photos/simonlyall/sets/72157634919059363/ - thanks to Simon Lyall! 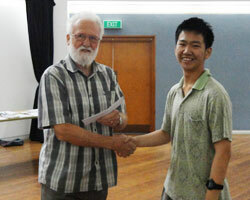 July 26th - 28th 2013 - Waikato Open, Hamilton. 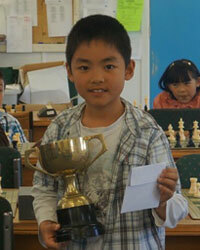 July 16th - 19th 2013 - NZ Junior Championship, Waitakere, Auckland. 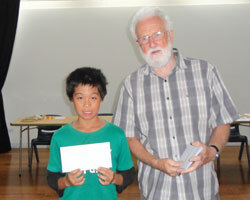 July 15th 2013 - NZ Junior Rapid Championship, Waitakere, Auckland. 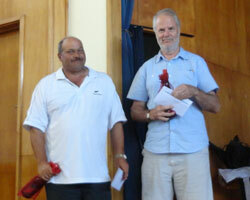 event began June 18th 2013 - Richard Sutton Cup Rapid, Howick. 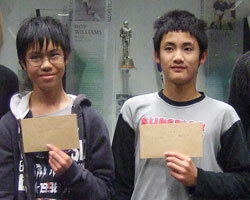 July 4th 2013 - West Auckland Inter-Schools Intermediate competition (yrs 7 – 8), Auckland. 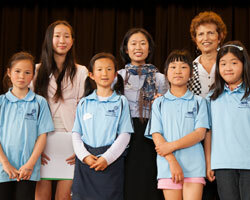 July 3rd 2013 - West Auckland Inter-Schools Primary competition (yrs 1 – 6), Auckland. 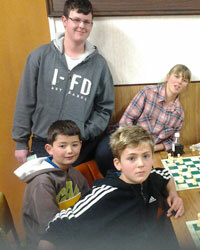 July 7th 2013 - 2nd Feilding Chess Club Rapid, Palmerston North. 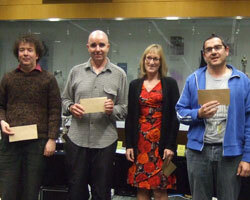 1st= Ross Jackson, Jack James and Chris Burns. 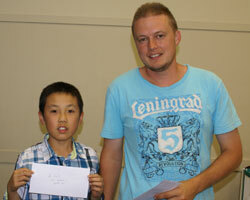 A 1-minute hourglass play-off was won by Jack James, who was declared the Feilding Rapid Champion 2013. 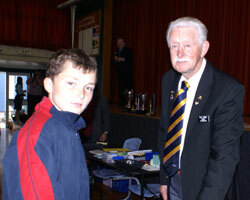 26 May - 30 June 2013 - A-Grade Interclubs, Auckland. 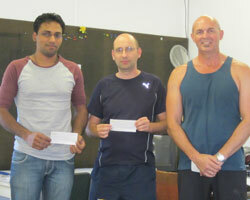 June 29th 2013 - Upper Hutt Open "25 + 5" Tournament, Upper Hutt. 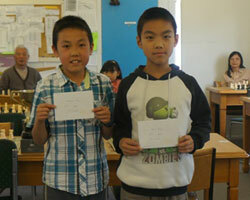 1st= IM Anthony Ker and Brian Nijman with 5/6. 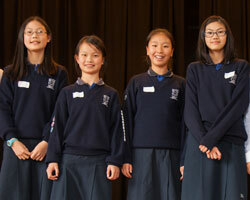 June 27th 2013 - Central Auckland Intermediate Interschools, Auckland. 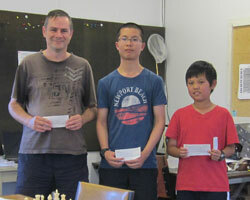 Won by Auckland Normal A.
June 23rd 2013 - North Island Rapid Championship, Hamilton. 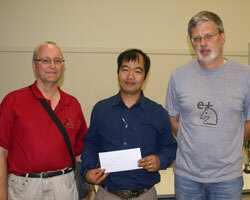 1st= Noel Pinic, Hans Gao, FM Bob Smith, and Michael Freeman. Full Vega results can be found here. 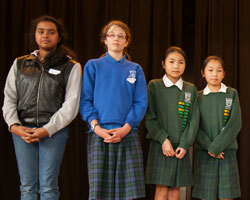 June 20th 2013 - Central Auckland Primary Interschools, Auckland. 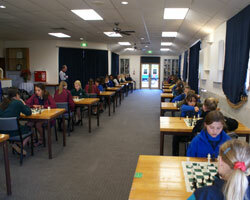 June 20th 2013 - Bay of Plenty Girls Chess Championship, Tauranga. 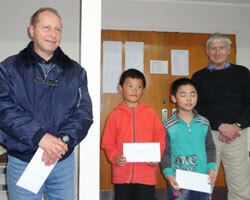 Organised by Mt Maunganui RSA Chess Club. June 16th 2013 - Rapid, Wellington. 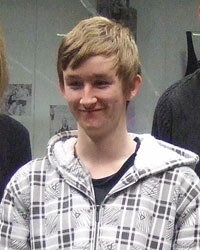 In this event, organised to give juniors experience against strong adults, the winner was FM Scott Wastney. 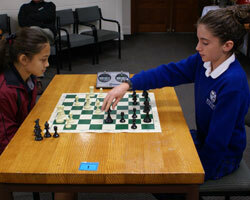 June 12th 2013 - Auckland Girls Chess Championship, Auckland. June 1st - 3rd 2013 - The 36th Trusts Open, Henderson, Auckland. 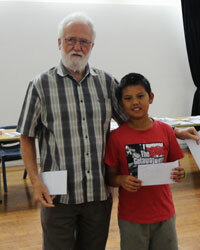 Check out the official website, Waitakere Chess Club, for full results. 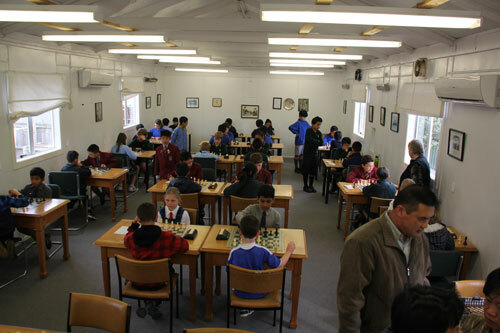 Many photos (taken by Lin Nah and Simon Lyall) can be found on www.facebook.com/NZChessFederation (you don't need to be a member of Facebook to view this page). Full Vega results can be found here: A-Grade, B-Grade, C-Grade, and Junior. 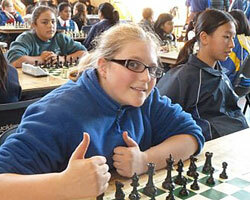 May 29th 2013 - East Auckland Intermediate Interschools Qualifier, Auckland. Bucklands Beach Intermediate is the East Auckland zone qualifier for the NZCF National Interschools Final in Mount Maunganui. 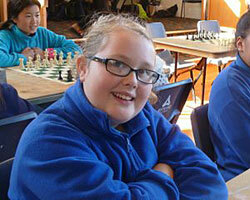 May 26th 2013 - A-Grade Interclubs, Auckland. 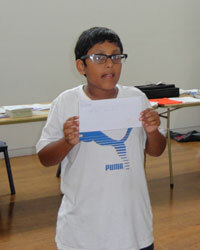 Round 1: Howick-Pakuranga 4-2 Papatoetoe, Auckland CC 3-3 North Shore. 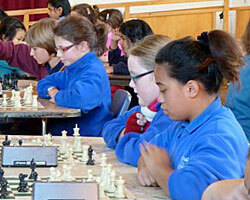 May 22nd 2013 - East Auckland Primary Interschools Qualifier, Auckland. 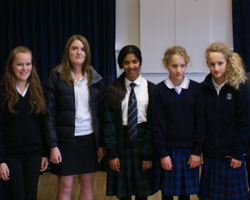 1st Gold, Kings School (Team One). 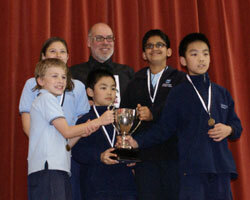 2nd Silver, Bucklands Beach Primary School (Team One). 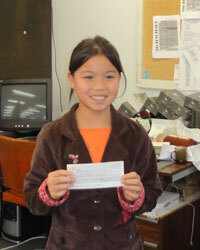 3rd Bronze, Pigeon Mountain School. 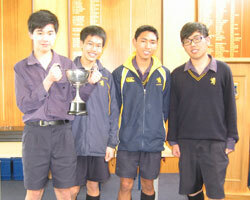 Kings School is the East Auckland zone qualifier for the NZCF National Interschools Final in Mount Maunganui. 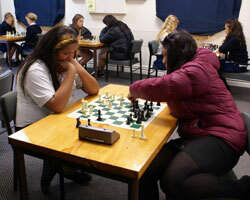 May 18th - 19th 2013 - Auckland Chess Centre Weekender, Auckland. Thanks to some testing of the DGT boards, we have games for the top 3 boards for rounds 2-7: download the pgn file here. May 4th - 11th 2013 - Oceania Zonal, FIJI. Kiwis abroad: wfm Viv Smith finished 6th on tiebreak with 5½/9 in the Women's event; in the Open, FM Bob Smith finished 8th on tiebreak with 5½/9, Paul Spiller 21st on 4½ and Ivan Dordevic (after a fine win over IM Gary Lane in round 2) 22nd on 4. 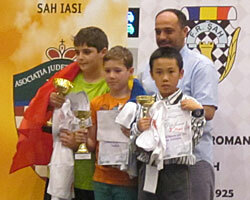 April 21st - May 1st 2013 - World Amateur Championship, Iasi, ROMANIA. Official website: www.wacc2013.ro. Results at http://chess-results.com/tnr91568.aspx. 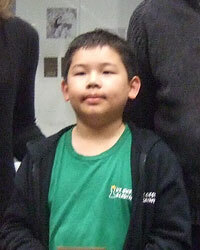 Alphaeus Ang finished with 5/9 and in 65th place out of 207 on tie breaks. 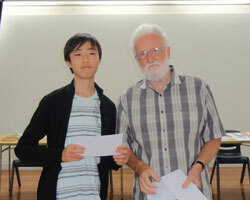 There was also the World Amateur Blitz Championship, where Alphaeus finished second in the under-12 category, 23rd overall (equal 13-23) out of 112 players. 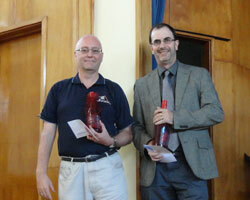 Results at http://chess-results.com/tnr99168.aspx?art=1&rd=9&lan=1&wi=821. 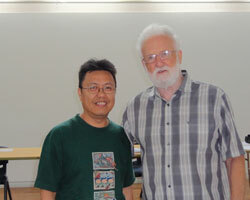 Thanks to Keong Ang for the photos. 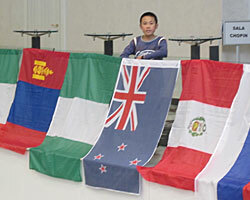 Keong was also representing NZ, as an arbiter at the event. 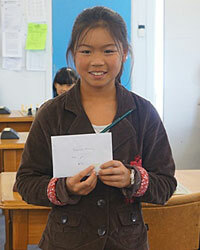 for runner-up in the u-12 category in the Blitz. A view of the playing hall. The venue. in honour of the arbiter from NZ. 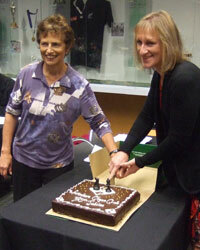 April 25th - 28th 2013 - Oceania Seniors Championship, Christchurch. Thanks to our sponsors, Dancing Water Winery and Benson Insurance Brokers. 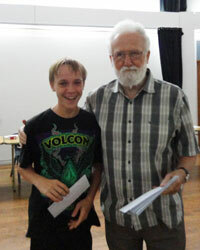 Biggest Upset prize: Tony Booth. Download the games here (pgn file) - thanks to Craig Hall for entering the moves. April 2nd - 7th 2013 - Sydney International Open, Parramatta, AUSTRALIA. Official website: www.sio.nswca.org.au/. 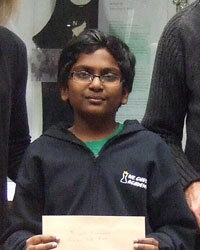 Full results at http://www.chess-results.com/tnr96907.aspx?lan=1. 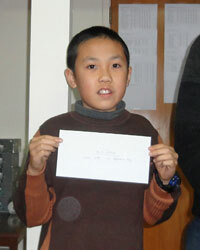 Luke Li scored 5½/9, just short of another IM norm. Fuatai Fuatai scored 4 and Gavin Marner 3½. 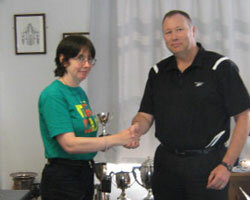 March 29th - April 1st 2013 - North Island Championship, Wellington. 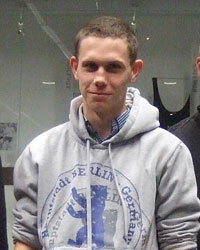 March 28th - April 1st 2013 - Doeberl Cup, Canberra, AUSTRALIA. 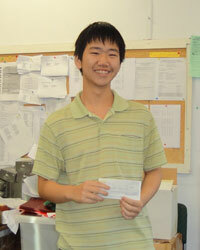 Luke Li achieved his first IM norm and also raised his FIDE rating over 2300, thus qualifying for the FM title. 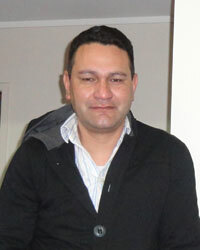 See http://www.chesspower.co.nz/webapps/i/88770/234127/477616 for results and photos. March 16th 2013 - Howick-Pakuranga Annual Latvian Rapidplay, Pakuranga, Manukau City. 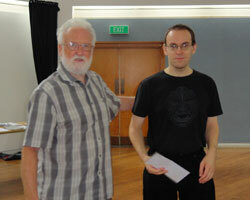 March 9th - 10th 2013 - Auckland Chess Centre Weekender, Auckland. March 2nd 2013 - 1st Hawke's Bay Rapid, Napier. 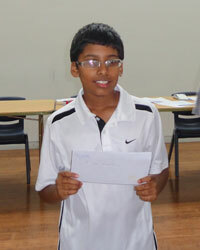 Dion Charles won the junior section for players under 14. 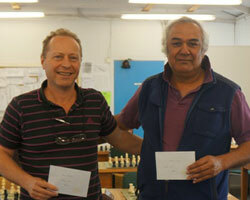 Photos of Napier can be found at www.facebook.com/NZChessFederation. February 23rd 2013 - 8th Bay of Plenty Rapid, Tauranga. 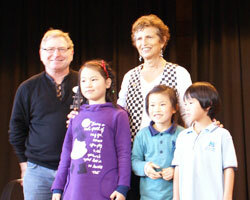 Thanks to Viv Smith for the photos - you can see more on www.facebook.com/NZChessFederation. February 10th 2013 - 1st MC Cup, Auckland. 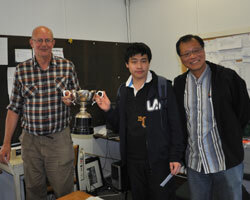 Full results and photos at http://www.chesspower.co.nz/webapps/i/88770/234127/477501. January 19th 2013 - Open Rapid, Auckland. Sponsored by Atrium on Elliott, 21-25 Elliott Street, Auckland. 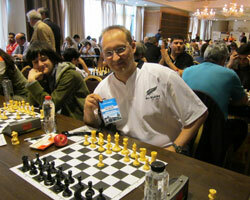 31st December 2012 - 12th January 2013 - NZ Chess Supplies 120th New Zealand Congress, Wellington. 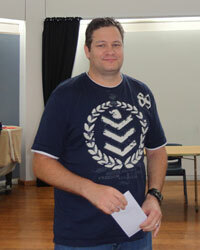 New Zealand Champion: FM Scott Wastney, with 10/11. 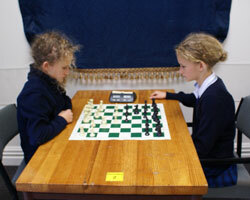 This information is also available at nzchessmag.com/wellingtonchessclub/congress.html. Games: download pgn files here: Championship, Major Open, Rapid (incomplete). 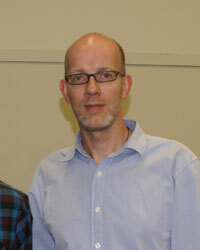 Photos by Guy Burns here: https://picasaweb.google.com/tuumeister/2013NZCongressWellington.